Click here for a map of Natick in 1750. Augusta Cheney was Natick’s leader in the pursuit of women’s rights in the 19th century. She was a suffragette who had a nationwide reputation. 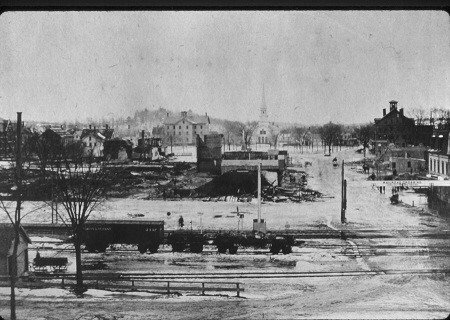 The Great Fire of 1874 destroyed the town center, burning several blocks to the ground. Click here for more details.